The Blancpain name can be traced back to 1735 when Jehan-Jacques Blancpain established a watchmaking workshop within his home in Villeret. 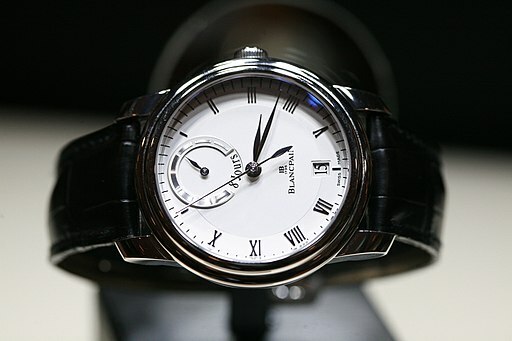 The company is reputedly the oldest watch brand in existence, however, it was during the 20th century that the company experienced its most significant changes. The year of 1932 saw the cessation of any Blancpain family involvement with the company bearing the family name. The company was sold to Betty Fiechter and André Léal, two former members of staff. The law at the time dictated that the company had to be renamed due to the absence of any family involvement and the Rayville brand was created. Later, in 1962, Blancpain became part of SSIH (Sociéte Suisse pour l’Industrie Horlogère) joining the likes of Lemania, Omega and Tissot. During this time, the company produced significant volumes of watches with annual sales reaching 220,000 units in 1971. However, the advent of quartz watches spelt the death knell for the mechanical watch with many companies suffering a financial downturn and, in some instances, going out of business. It was during this period that SSIH reduced production capacity and disposed of assets. Fréderic Piguet, a prominent movement manufacturer located in the Vallée de Joux, acquired the brand name Rayville-Blancpain from SSIH in 1982. The following year, under the direction of Jacques Piguet, Blancpain was established as a separate company. The share capital was divided with 48% of the shares owned by Jacques Piguet, 48% owned by Jean-Claude Biver, now synonymous with Hublot, and the remaining 4% held by Michael Favre, the Secretary of the Board. Blancpain’s manufacturing operations were established in Le Brassus and traded under the name Blancpain SA. The watch company entered a frenetic period of innovation, releasing numerous models which embraced the regional prowess for crafting ultra-thin and complicated watches. With the benefit of Jean-Claude Biver’s exceptional sales and marketing skills, the company enjoyed successive years of growth. In 1992, Jacques Piguet decided to sell both Fréderic Piguet and Blancpain. Both organisations were acquired by SMH, the company which would ultimately become Swatch Group. Today, Blancpain continues to have its production facilities within the Vallée de Joux, both in Le Brassus and nearby Le Sentier. Blancpain has several different collections within its range of models including Le Brassus, Léman, L-evolution and Villeret, but one collection stands out, the iconic Fifty Fathoms. The Fifty Fathoms, a diver’s watch, was launched in 1953, the same year the Rolex Submariner was released. The model was initially made for military use, developed for the elite French Diving Corps “Les Nageurs de Combat”. The Fifty Fathoms was also worn by Jacques Cousteau in the legendary film, “The Silent World”. The original 1953 model was equipped with a stainless steel case and domed crystal, capable of withstanding depths of at least 50 fathoms (91 metres). A self-winding movement was included in the specification to mitigate the need to use the crown for winding. A soft-iron core shrouds the movement to protect the inner workings against damage, or unwanted influence from magnetic fields. To ensure excellent underwater legibility, the indexes on the dial of the original model incorporated radium. Unfortunately, this luminescent material proved to be dangerous, releasing radioactive toxins. Blancpain used radium at the behest of various military procurement departments. However, the company equipped civilian versions of the watch with non-radioactive luminescent materials and marked the dial with a radiation trefoil symbol, crossed-out and labelled “no radiations”. In 2010, Blancpain released the Tribute to Fifty Fathoms with its non-radioactive credentials clearly referenced on the dial. While the Fifty Fathoms was originally conceived as a diver’s watch, Blancpain has extended the collection to appeal to a broader audience who appreciate the model’s robust design. The range now includes a flyback chronograph and even a tourbillon. In 2011, Blancpain revealed the X Fathoms, equipped with a mechanical depth gauge utilising liquid metal technology. Most recently the watch company released its Fifty Fathoms Bathyscaphe watches which are smaller in stature but no less alluring. Blancpain is a historical name in the field of haute horlogerie which continues to invent new ways of tempting watch buyers into parting with their children’s inheritance. The finishing of the manufacture movements is exemplary with much hand finishing of components in evidence. The gleaming bevels found on the bridges of its movements stand testament to the matchless watchmaking expertise practised in the Vallée de Joux. Despite respecting tradition, Blancpain does not eschew modernity with some watches featuring cutting-edge know-how, including the aforementioned liquid metal technology and silicon balance springs. delightful delicate note with ultra-thin cases, simple lines and crisp dials. With such a diverse range, peerless finishing and a myriad of complications to choose from, Blancpain timepieces are a worthy choice for the discerning watch collector. Browse Blowers’ selection of Blancpain watches online today.